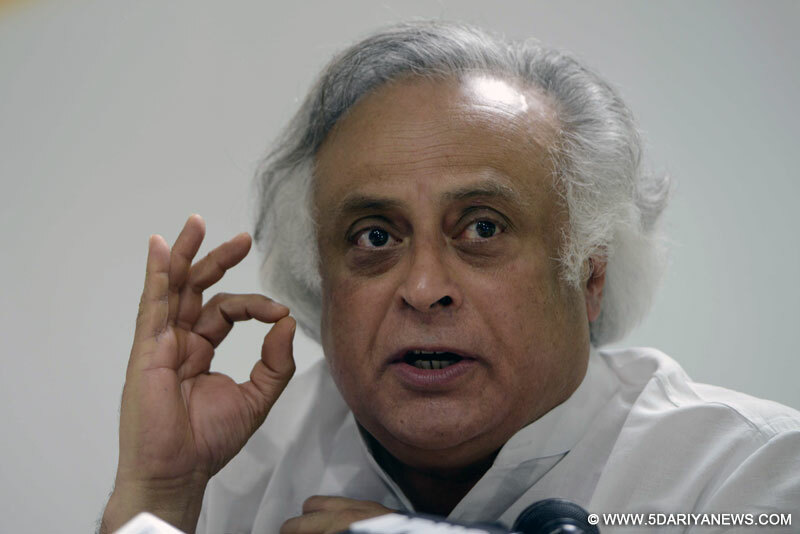 On a day a notice for a privilege motion was submitted in the Rajya Sabha against senior Congress leaders Renuka Chowdhury and Jairam Ramesh, the latter said on Monday that he did not say anything objectionable to Union minister Harsimrat Kaur Badal.Ramesh, a Rajya Sabha member, said he will reply to her complaint against him and his party leader Renuka Chowdhury to Rajya Sabha Chairman Hamid Ansari. "I am sorry that a senior leader has made wild allegations against me. I still stand by whatever I had said," Ramesh said at a press conference in Parliament House complex here. "No offensive language was used (against Union Food Processing Minister Harsimrat Kaur Badal). It's extraordinary that the person who herself should be apologising is asking me to apologise," the Congress leader said.Ramesh said he had explained his position in the Rajya Sabha too and will reply to the charge as and when asked.Shiromani Akali Dal's Rajya Sabha MP Sukhdev Singh Dhindsa submitted the privilege motion notice against the two Congress leaders on Monday, accusing them of misbehaving with Harsimrat.Dhindsa also took up the issue in the upper house on Monday morning.On July 22, a private member's bill on granting special status to Andhra Pradesh could not be taken up in the Rajya Sabha as members from the treasury benches were protesting against Aam Aadmi Party's Lok Sabha MP Bhagwant Mann's Facebook video.The minister, who was present in the upper house, also sought permission to speak but was not allowed. The upper house was adjourned later, after which Harsimrat Badal and the Congress leaders allegedly had an argument.The minister also wrote to Chairman M. Hamid Ansari, seeking stern action against the two Congress members.